Should You Replace Furnaces and AC Units at the Same Time? Posted on August 25, 2017 at 9:00 am. Thinking about replacing your furnace and air conditioning unit? Which one of these should you replace, and would you get more benefits if you installed brand new ones in place? A heating and air conditioning service in Cleveland, TN can guide you more about this. But for right now, we are going to present some facts that might make it easier for you to decide. Apparently, you do get to enjoy numerous advantages when you replace your furnace and AC units together, but a lot of times, the need may not really be there. And let’s not forget the expenses that you would have to encounter. Do you know what the average life spans are for a furnace and air conditioning unit? For the latter of these, it is around 10 to 15 years, but you may be able to pull it up a bit higher, if you regularly get your unit maintained by a professional air conditioning service in Cleveland, TN. The lifespan of a furnace is around 10 to 30 years, twice as that for an air conditioning unit. So, should you really replace them together? If your furnace still has some years of life yet, then why get it replaced? Yes, we know efficiency is a concern, but there are so many other ways to ensure that; replacement isn’t the only solution; reach out to a company that offers heating and AC repair in Cleveland, TN, and they would help you out. That being said, there may still be some instances in which you would want to replace your furnace. Let’s take a look. What’s the age of your furnace? As we said, the age of your furnace is the is around 20 to 30 years, whereas your AC units lasts for about 10 to 15 years. You can consider replacing the two together if your furnace is a lot older than your AC unit, roughly 10 to 15 years. Should you choose to do so, you would have to detach the evaporator coils and other components. Even when you replace your AC unit, then also you have to detach these components, and so doing it together seems to make some sense. But if your furnace is only 10 years old, then it still has a lot of life left , and you shouldn’t be replacing it with your AC unit. What costs are you incurring? If you are considering to replace a furnace, then any heating and air condition service in Cleveland, TN, would roughly charge you around $2,000 to $5,000; the exact figures depend on the type of furnace and the brand that you choose; if replacement is difficult, then also you may have to pay extra amounts. However, when you consider a furnace and air condition installation in Cleveland, TN together, you only have to pay around $2,000 at the most for furnace installation. More affordable, right? It is, but like we said, consider this only when you furnace unit is older than your AC unit. What kind of air conditioner installation in Cleveland, TN are you opting for? 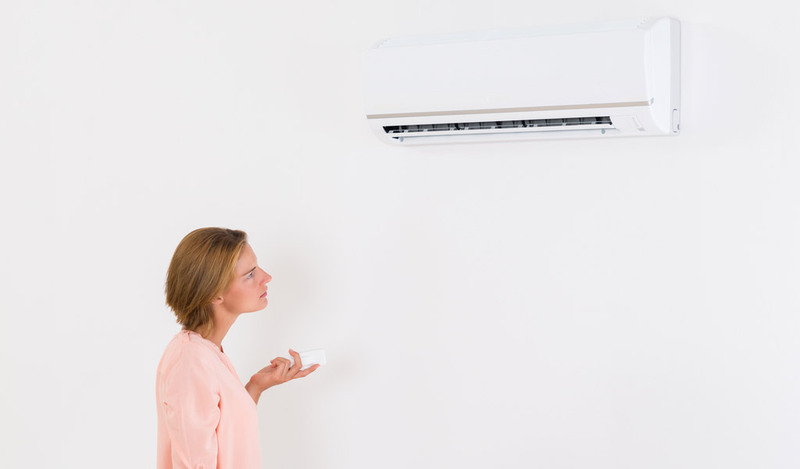 Which air conditioning unit are you thinking of buying? If you are looking at a high efficiency unit with SEER values around 16, then you should replace the furnace as well. The two units work best when both of them have similar efficiency ratings, and your old furnace can in no way match your new air conditioning unit. Are there are workarounds? Some of them do exist but only a skilled air conditioning service in Cleveland, TN can help you out with it. When replacing your AC unit, you require evaporator coils and condensing systems that are compatible, and so you would go for high efficiency units. Now your AC’s efficiency doesn’t directly affect the furnace, but both the furnace and an AC use the same blower motor; a blower motor directs airflow through the ductwork. Thus, if your existing furnace does not use a variable motor, and you end up buying an AC unit with an efficiency rating of 16 SEER or greater, you would not get a lot of benefit and your AC wont operate at its maximum efficiency level. As for mixing and matching the components, you should consider this only if you are going for SEER values of around 13 and 14. Talk to a company that offers heating and air conditioning service in Cleveland, TN, and they would help you out. Where are the units installed? Where have you installed your heating and cooling units? If they are somewhere below your house in a crawl space just 2 feet high, then you can think about replacing them together. Generally, if your units are in a spot that is hard to reach, a company that offers air conditioner installation service in Cleveland, TN may charge you more because of difficult access. If you get the two replaced separately, you may be encountering higher charges than if you were replacing them together. And oh by the way, garages and attics aren’t difficult to reach spots; you should watch out if your contractor charges you more for these. How many years is your retirement away? A heating and air conditioner installation in Cleveland, TN is costly, probably one of the biggest expenses that you would ever encounter in your life. If you are about to retire, then better get dome with both of these right now so that you can minimize costs in the later years when you probably won’t have any stable source of income, other than your retirement savings. What if your retirement is years away? You should wait then; if the need isn’t so big right now, then do it when both are at the end of their lives as long as your bills aren’t becoming a concern. So, what do you think? Should you or should not replace the two together? Discuss with Metro Plumbing, Heating and Air in Dalton, and they will gladly help you out!